Dinner and the show lasts approximately 2 hours. Dinner is served at 7 PM, show starts at 8 PM. Be sure to catch The George Strait Tribute Dinner Show for an amazing tribute to one of country music’s greatest stars. 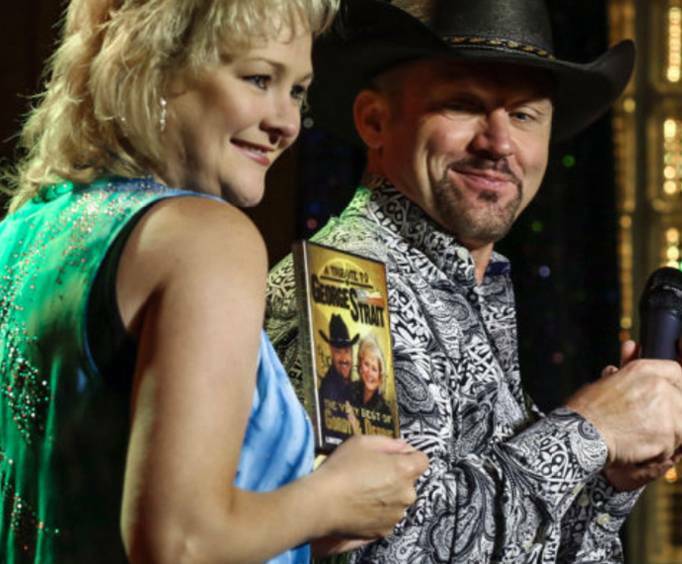 This dynamic show features Gordy Wensel, who performs authentic renditions to some of George Strait’s most popular tunes, and his wife Debbie Kaye, who will bring the music of some of the best female artists who have opened for George Strait to the stage. The couple is sure to wow you with their amazing country style and their awe-inspiring stage presence. The best part, though, is there is a mouthwatering meal served at 7, just an hour prior to the show. Guests can choose to purchase cocktails for drinking as well. Gordy and Debbie have been in the entertainment industry for more than 25 years and have been performing as a duet for more than a decade. They have performed on Mickey Gilley’s very own TV show called “Gilley’s Place”— and Mickey Gilley has been known to stop by from time to time for guest appearances— and made performances on several other Branson stages including The Grand Country Theater, The Jim Stafford Theatre, and even the Branson Mall Center Stage. Now, you won’t want to miss their latest project, this amazing tribute to The King of Country right here in Branson at Jackie B&period; Goode’s Uptown Cafe and Dinner Theatre. Be sure to buy your tickets to the George Strait Tribute Dinner Show for a delicious meal and a captivating show where you can dance and sing along to hits like “Write This Down”, “All My Ex’s Live in Texas”, and “Love Without End, Amen”. Whether you’re a longtime fan of the King of Country or simply looking for an exciting night in the Ozarks, this show is perfect for the entire family. What is included in the admission price for George Strait Tribute Dinner Show? Approximately how long is the George Strait Tribute Dinner Show? Dinner is served an hour before the show. All choices served with side salad, roll, tea or coffee, and a dessert. Nice variety of songs. Enjoyed debi's additions as well. Good meal good service good time! 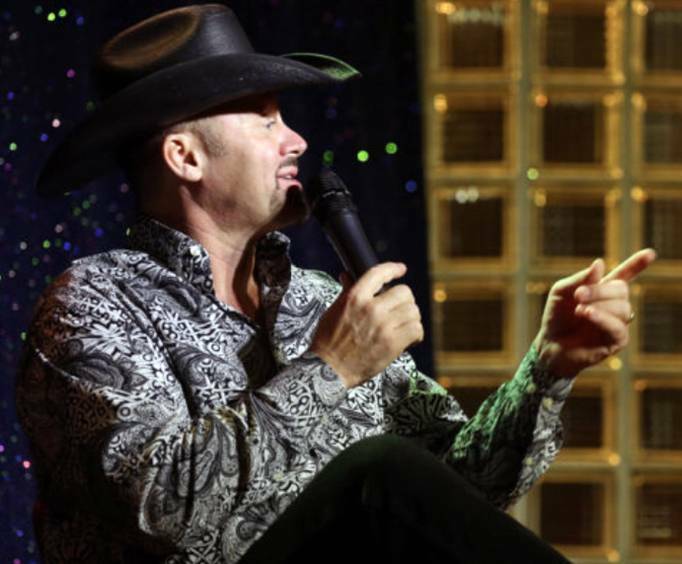 The george strait tribute dinner show was the very best show we saw in branson. A perfect 10! Good performance. Would have love to hear more of aftist personal music. Really enjoyed his wife , partner singing with the performance. I bought the album on computer chip. Very good. Tip: Meal was mediocre... Eat dinner some where elsewhere. Great show! Gordy and debbie put on some excellent performances and they are really nice down to earth people. They react with their audience very nicely!